NZ time: Sat. 20 Apr, 03:17p.m. My experience with GO dates back to 2007. I have worked in the Christchurch, Wellington and Auckland branches. Our Auckland Airport team have a passion for travel and tourism and love meeting people from all around the world. Come and see us to get you GOing! We have twice hired a car through Go Rentals at Auckland Airport. We also have a third booking in place for 2017. I find Go Rentals provide great value vehicles, great service and a seamless pick up and drop off. Why pay the earth when you can use Go. Flew in from Australia. Had my car ready. In and out of the office in 20 mins, service was very friendly and effecient. Car in excellent condition and the rates are very good. Would recomemend to anyone and I will defenitely will be back. Organised, fast service and car is always in mint condition. Friendly staff and in and out within 1/2 hour or pick up from Airport. Wouldn't use anyone else. Get ready to fly into Auckland and start your kiwi adventure! Our Auckland Airport car rentals branch is open from 04:30am - 02:00am daily. Our mission is to make things easy for you to get GOing in no time! And remember, we also have our Auckland City location to get you GOing. Picking up your car rental at Auckland Airport is so simple! Give us a call on 0508 246 884 from any public phone inside the airport, or from your mobile on +64 9 257 5142. Our courtesy shuttle service can collect you from both the International and Domestic terminals and take you direct to our Auckland Airport car rental depot. Thanks to our amazing customers, GO Rentals was recently awarded the prestigious Canstar Blue Award for Most Satisfied Customers 2018 in the Hire Car category. That means when you hire a car from GO Rentals at Auckland Airport, you're getting a world-class customer service experience thanks to our amazing team of passionate staff. 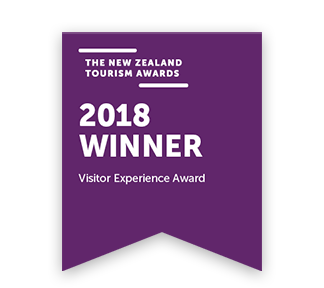 Following on from this, we were also delighted to be awarded a New Zealand Tourism Award in 2018 where we were announced as the winners of the ServiceIQ Visitor Experience Award. This award recognised GO Rentals as an organisation that is driving value through an outstanding visitor experience – something we wouldn’t be able to do without our amazing team at Auckland Airport! Our Auckland Airport car hire branch is only a skip and a hop from the Airport terminal buildings. New Zealand’s main highway is also within a couple of minutes of the Auckland Airport Branch, so you can be on your way to the Auckland city centre or beyond in no time. Our Auckland Airport branch is located outside the airport terminal so we save on cost, and that means we can pass those savings on to you the customer on your car hire from Auckland Airport. Of course we have hundreds of safe, reliable, clean and affordable late-model vehicles just like the other top companies. What you see is what you get, meaning no hidden costs and the car you book is the car you drive. All that, plus our standout service, will really put a smile on your dial. The only way to travel and discover Auckland City to its fullest is to jump in a GO Rentals car and drive. GO Rentals has the perfect rental car for any occasion. Whether you need car hire for a quick weekend away or that family vacation you’ve been planning for the last year or so. GO will take care of your entire car hire needs with no fuss and hassles. Experience the harbour under sail with a small vessel with an intimate and engaging atmosphere. If you have flown into Auckland Airport and you are looking to pick up a rental car on the day, then make sure you look beyond the airport kiosks. Our Auckland Airport car rental branch is located just a short 5 minute drive from the terminal (free pickup available) or a 10-15 minute walk. With great deals on car hire from Auckland Airport, you can visit the website or download our app using the free WiFi at the airport whilst you wait for your bags. Book your rental car through the website or app or give us a call and we will give you our best price on the perfect hire car to get you GOing on your Auckland adventure. If you have already booked your Auckland Airport car rental, make sure you download our handy app before you set off. You can use the app to order your airport shuttle bus as well as using it to find a wide range of discounts on activities in Auckland and beyond through our GO Play programme. This is one of our favourite North Island road trips. Pick up your rental car in Auckland and head first to the Coromandel Peninsula before dropping down to Tauranga and Mt Maunganui and on to the Hawke's Bay region and Napier. After a couple of days exploring, heading north back up to Rotorua and then out west to the surf beaches of Raglan to complete an awesome 10 days! 10 days is just about enough time to make a journey from the North Island to the South. Picking up your rental car in Auckland, head first to the Coromandel Peninsula before making your way south through Rotorua, Wellington and on to the stunning Marlborough region at the tip of the South Island. Swim with the dolphins in Kaikoura before finishing up in Christchurch. Make sure you check out our awesome new Complete Guide to Auckland with heaps of great tips on where to stay, where to eat out and what to do whilst you’re in the City of Sails. Our Auckland Airport location is less than 2 minutes from the Domestic & International terminals. Give us a call when you land and we’ll get you GOing in no time.